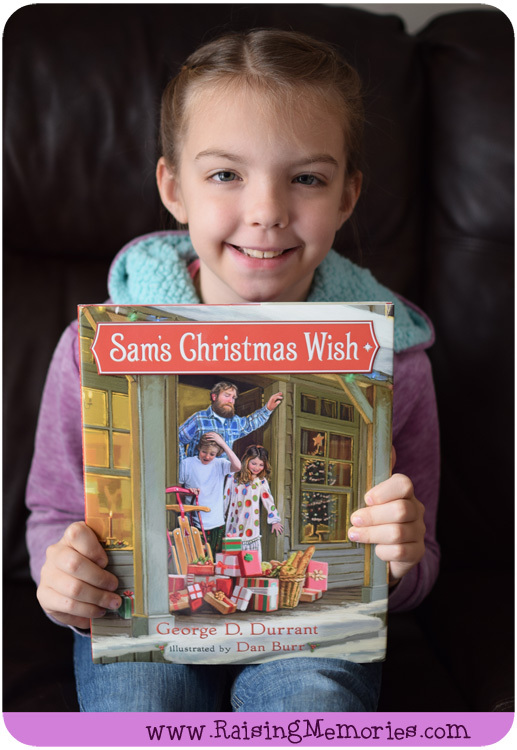 It's time for another book review, and this one is a children's Christmas book! 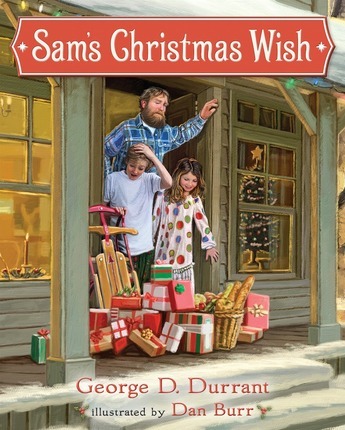 :) The book is called Sam's Christmas Wish and it's written by George D. Durrant and published by Shadow Mountain. 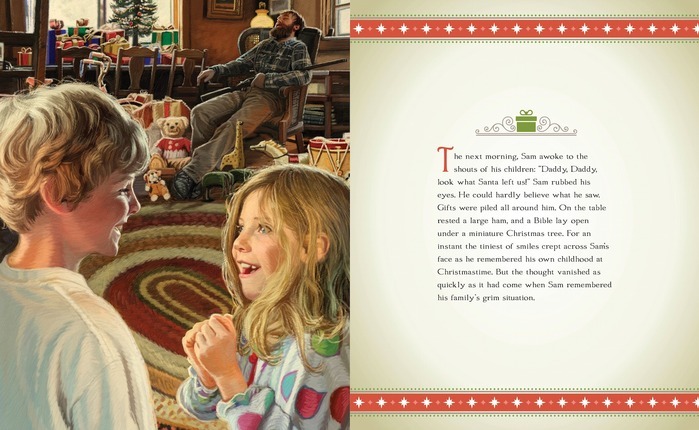 This is a hardcover book (29 pages) with beautiful illustrations. I'm sharing a couple of page spreads so you can get a glimpse of the interior. The illustrator is Dan Burr. The story is very touching (my 5 year old cried). It's a story about Christmas, service, and love. It has a sad/happy ending, and although my little one cried, it was a good opportunity to talk about what is most important and about the deeper messages in the story. This book is about a man who is mad because he just lost his job. He thinks he can handle Christmas by himself and doesn't want people to help. When Christmas comes, he doesn't want his kids to open presents at first because he doesn't believe Santa brought the toys. He thinks somebody else snuck into his house, but there are no footprints in the snow. A few years later, his children move away and his wife dies. He has always wanted to help someone like he was helped long ago. 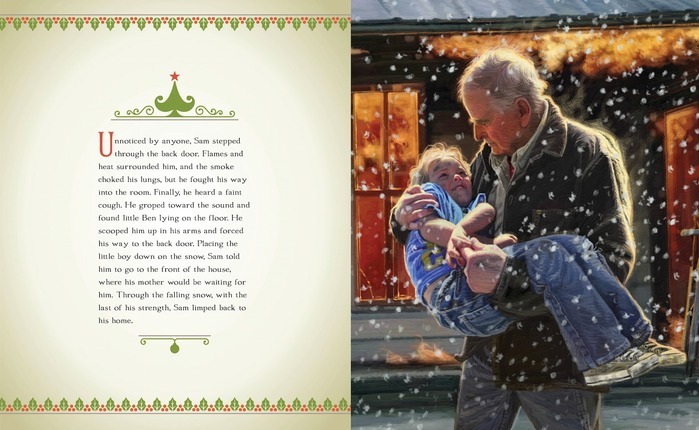 One night the family who lives by him has a fire in their house and Sam hopes to be a secret helper to them. Disclosure: We received a copy of this book to facilitate this review. All opinions are our own! This looks like a lovely book and the story line is one that would probably make me cry as well! !